The free youth deer clinic will take place on Oct. 1. The S.C. Department of Natural Resources (SCDNR) Take One Make One program is hosting a free youth deer clinic from 8:45 a.m. to 2 p.m. in Sumter County on Saturday, Oct. 1. 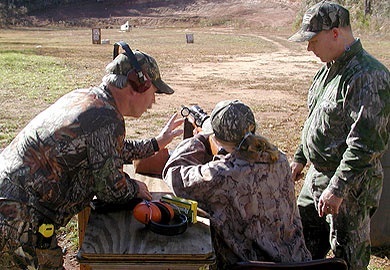 The clinic will introduce kids to the basics of deer hunting and will offer hands-on sessions including cooking, game care and prep, tree stand safety, blood trailing, marksmanship, and hunting laws. A wild game lunch will be provided and parents/guardians are welcome to dine with the participants. Registration is limited to the first 25 youth between the ages of ten and 17. For questions about the event or to sign up, email Lt. Kim Leverich at LeverichK@dnr.sc.gov. SCDNR will confirm registrants' attendance via email and will provide further instructions and a required application.